This wonderful book by Neal Brower is must reading for any fan of Mayberry. Neal's columns for The Bullet were the seed of inspiration for what has grown to become this sensational book. At 528 pages, it's the thickest book yet about Mayberry. Neal received substantial input from the writers of the episodes themselves, as well as actors and members of the production crew. 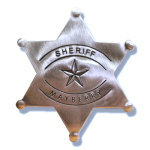 Mayberry 101 visits 79 episodes written by top-drawer writing teams Jim Fritzell & Everett Greenbaum, Harvey Bullock & Ray Saffian Allan, and Bill Idelson & Sam Bobrick. 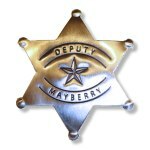 It's a gold mine of new behind-the-scenes information from key people who were actually involved in creating the Mayberry moments that fans have loved for more than three decades. Simply don't miss this gem!